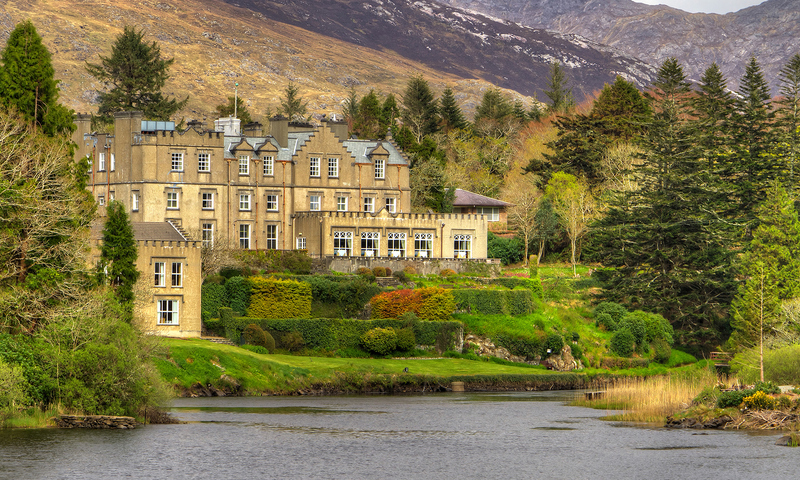 Ballynahinch Castle is located at the heart of the Ballynahinch Estate. 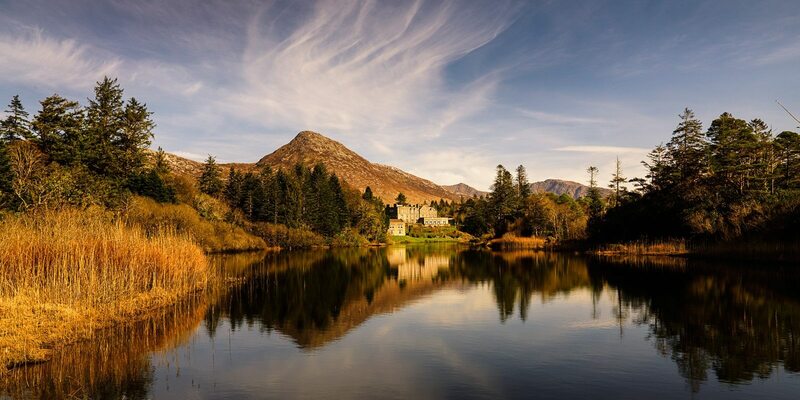 Comprising 450 acres of beautiful woodlands, gardens, lakes and rivers, this sporting country estate offers a secluded retreat of peace for any visitor. 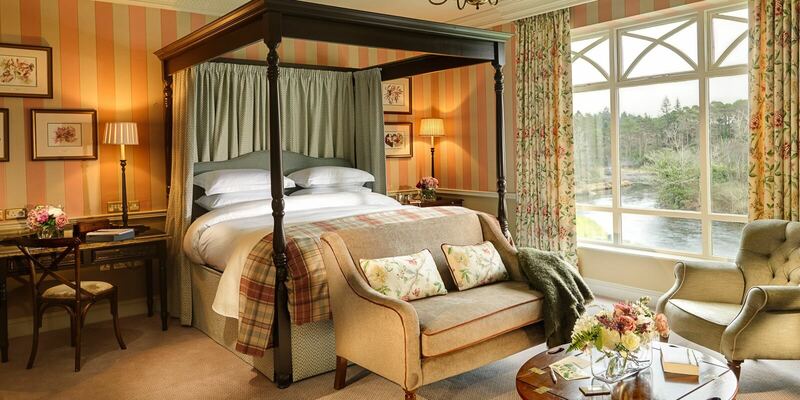 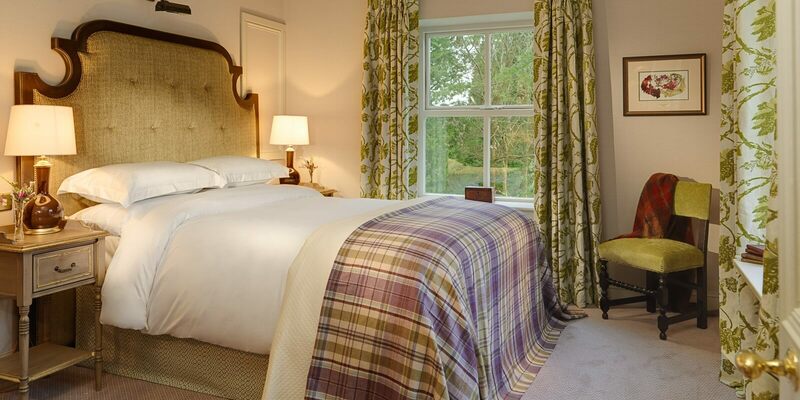 Guest Rooms: All the rooms are finished to an exceptionally high standard and all superior and luxury rooms have stunning views across river and woodland. 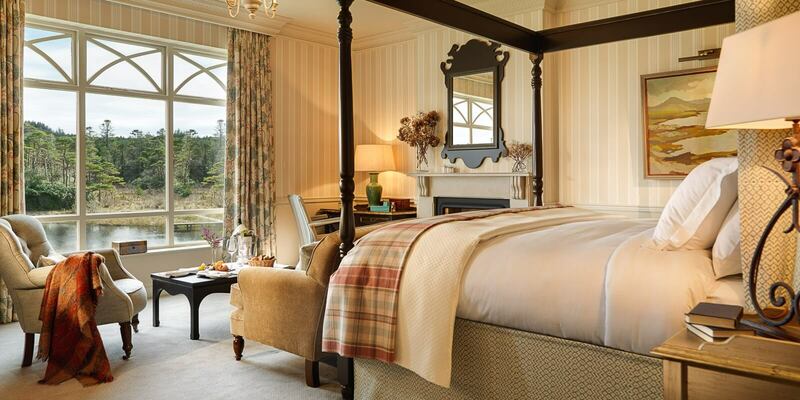 The Classic rooms have views over either the river or mountains with two over looking the courtyard. 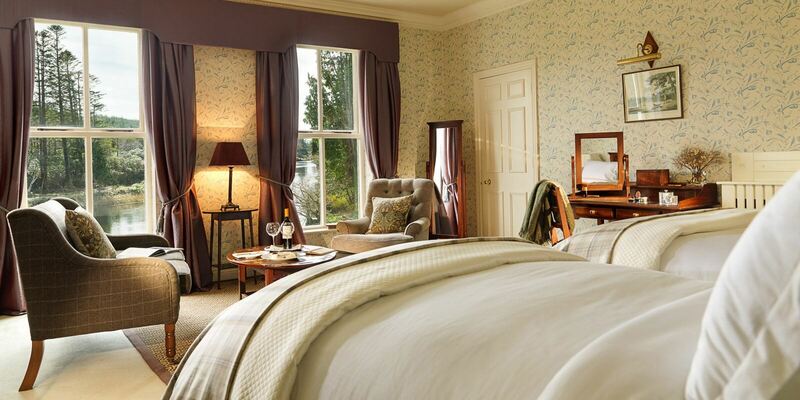 Location: With casual country elegance, overlooking both river and mountains, Ballynahinch offers an unpretentious service and an ideal centre from which to tour the West of Ireland. 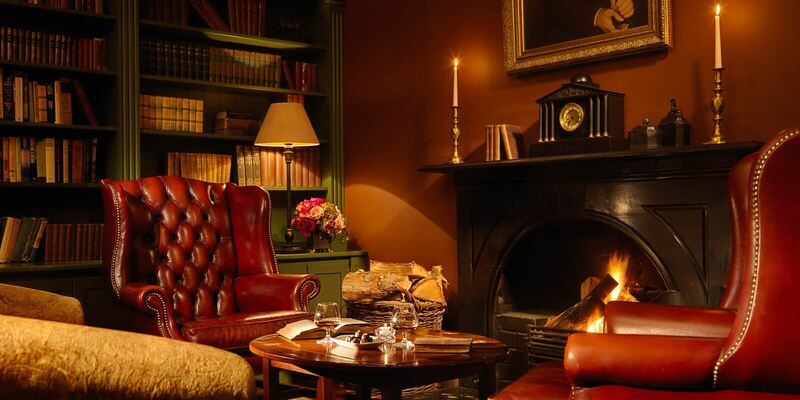 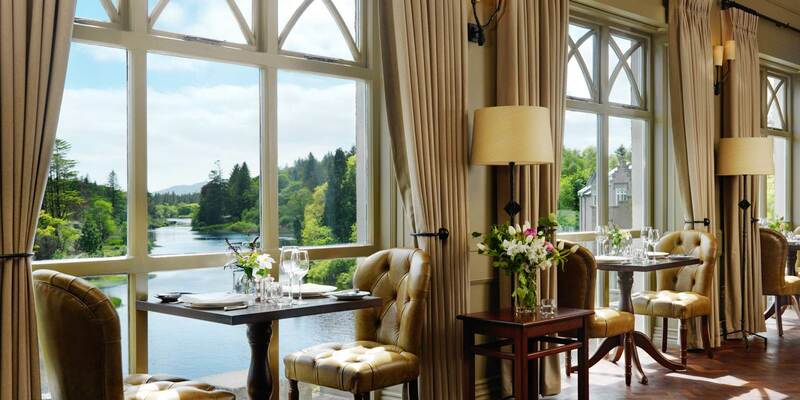 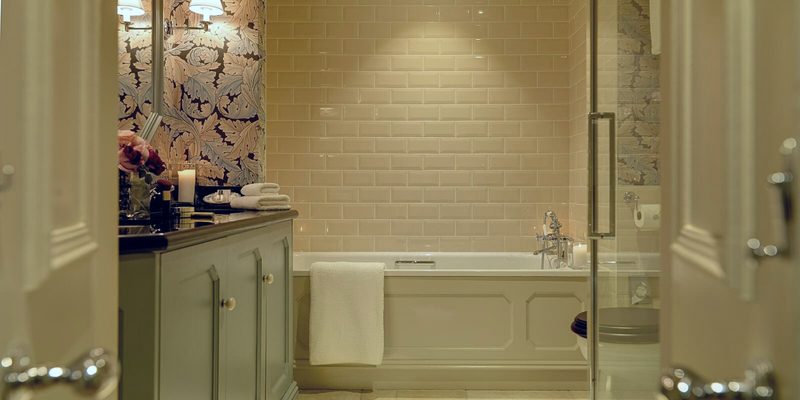 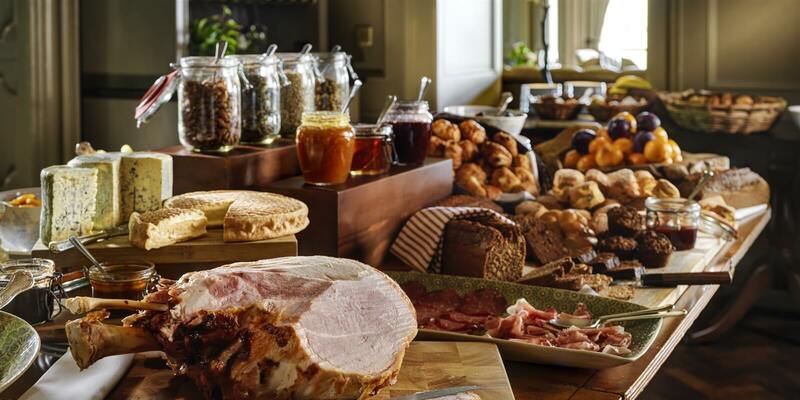 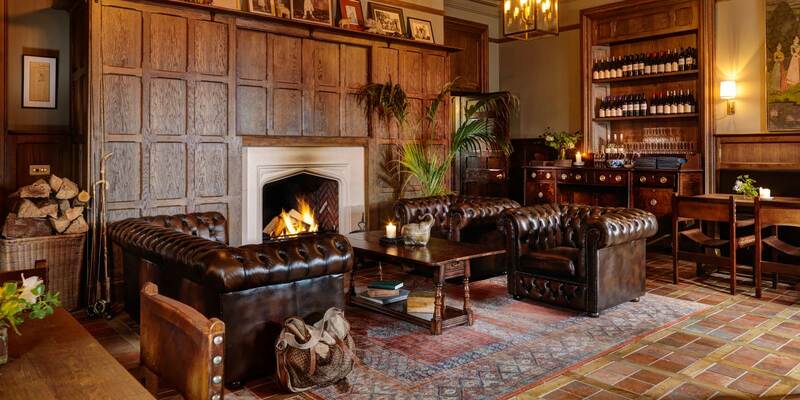 Restaurants: The kitchens of Ballynahinch Castle have been delighting both visitors and local diners for years. 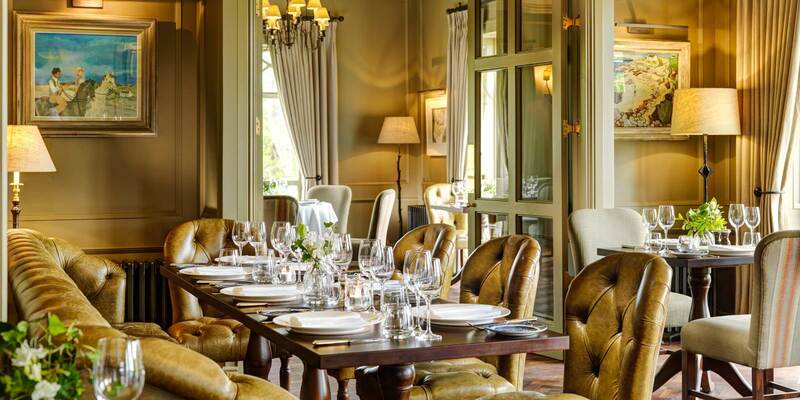 Credited with two rosettes by the Automobile Association and using only the finest and freshest ingredients, the Head Chef and his team take advantage of the wealth of fresh fish, and game available on the West Coast, to produce wonderfully balanced yet creative dishes.